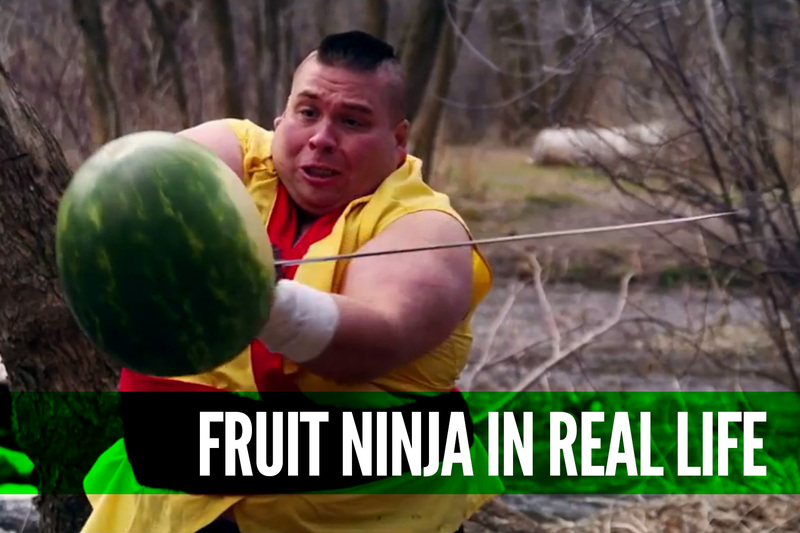 The game “Fruit Ninja” was one of the first smart phone games to truly go viral. So it’s only fitting this fantastic real-life parody has also gone viral. Movie maker Scott DW actually teamed up with Halfbrick Studios, the creators of Fruit Ninja, to make this short film spoof. He even produced his own Dubstep track to add the cherry on top of the video. This entry was posted in Video, Viral and tagged Android, Dubstep, Fruit Ninja, funny, iOS, Scott DW, Viral, viral videos. Bookmark the permalink.